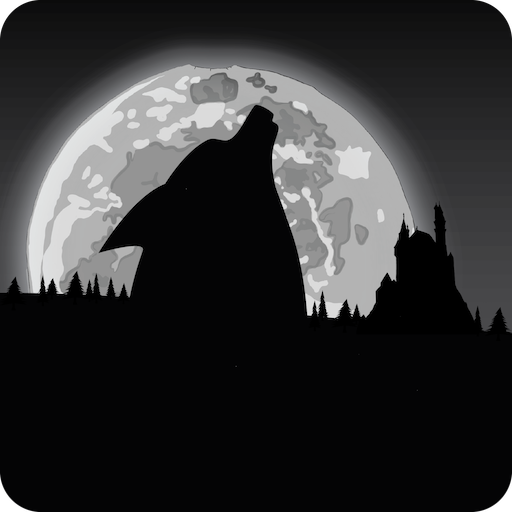 Run and jump through the dark, mystical mountains by the light of the full moon in this addictive endless runner! Glowing mushrooms will help guide your way. Collect the anatomical hearts that float mystically along your path. Hunters see you as a great prize. Jump over their traps and don’t get shot! Collect fashionable accessories. 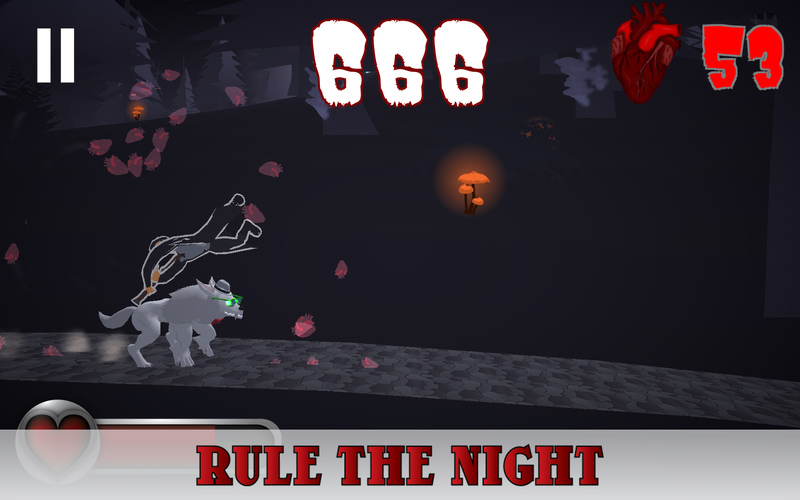 Rule the night as the mighty werewolf. Character customizations include a variety of glowing eyes, fur colors, and accessories. Which werewolf is truly you? Black with red eyes, white with neon green? Or maybe something a little more colorful? Accessories include sunglasses, a bowtie, and even a pirate hat! 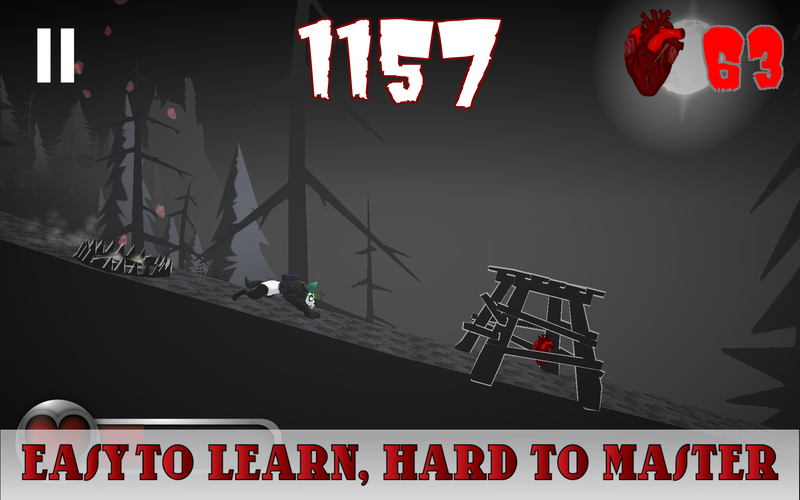 Werewolf Run is easy to learn and difficult to master. 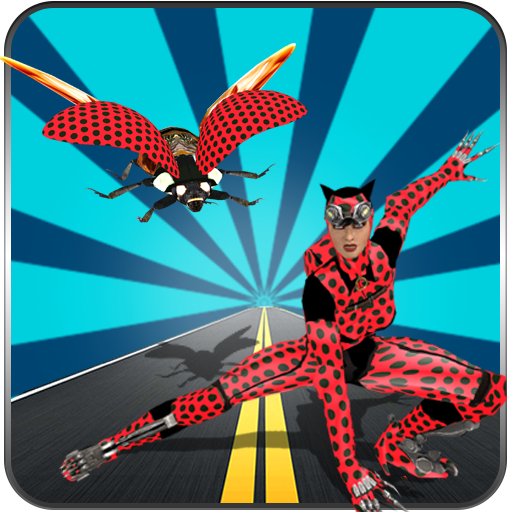 It’s a challenging endless runner with satisfying physics and mystical glowing graphics. Tap to jump. 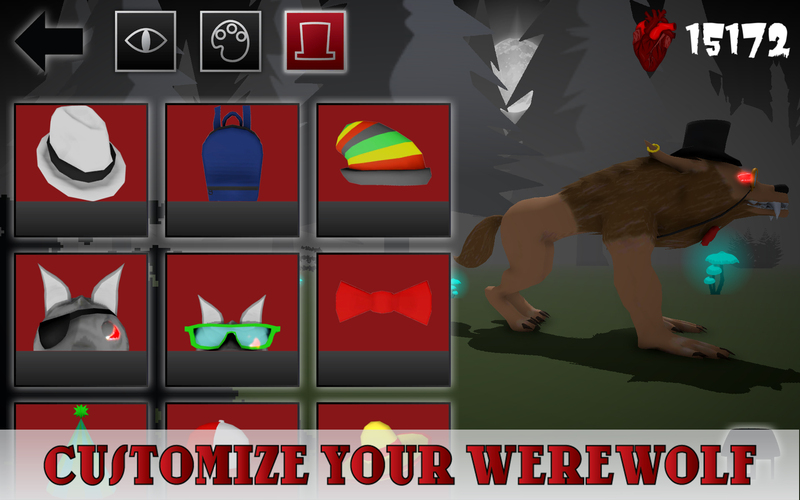 Collect hearts and use them to purchase customizations for your werewolf. If he hit a trap you die and have to restart. 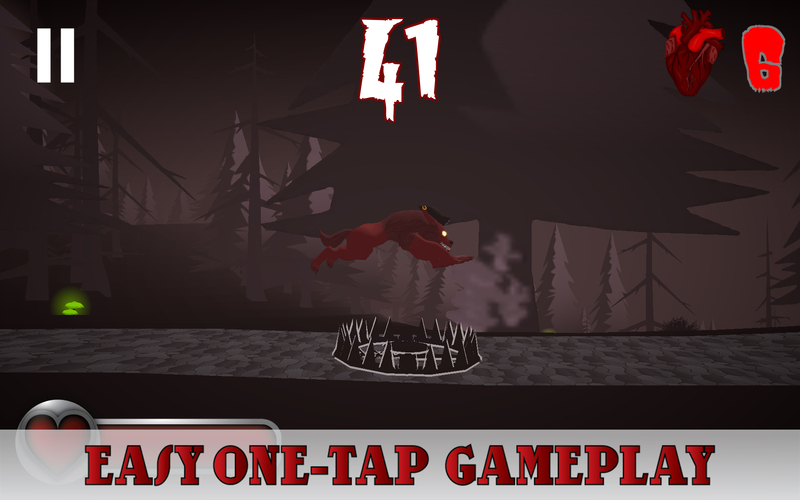 Werewolf Run is an addicting and difficult runner. 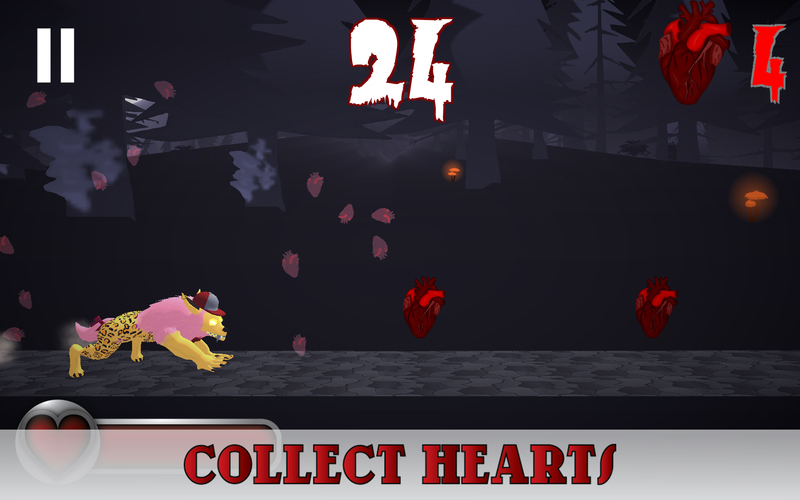 Easily share your high score to prove you are the fastest, strongest, deadliest werewolf of them all. Hunters are stalking your every move. Jump to avoid their traps and keep your eyes open for their deadly shadows. You are strong but each time you get shot you lose life! Collect as many tasty hearts as you can along the way.